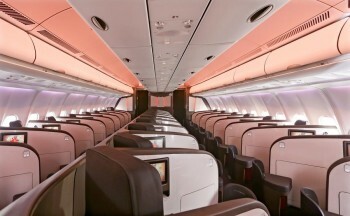 Virgin Atlantic has launched a sale with decent deals in all classes. Until 20th September you can find reduced fares on flights to the US, Caribbean, Mexico, Cuba, Asia, Middle East and Africa. The standout deal is Delhi at £1588 for travel between 3rd and 31st January 2018 as well as between 13th April and 30th June 2018. There are also several US routes included in the sale if you can travel over Thanksgiving, Christmas and New Year or next Easter. These prices are for travel between 21st – 28th November 2017; 18th December 2017 – 2nd January 2018 and 30th March 2018 – 15th April 2018. Orlando costs £1999 when the outbound flight is between 28th December 2017 – 29th March 2018 and 8th April 18 – 4th July 2018 and the inbound flight is between 7th January 2018 – 5th April 2018 and 22nd April 2018 – 4th July 18. Las Vegas costs £2239 when travelling 18th December 2017 – 2nd January 2018 and 30th March 2018 – 15th April 2018. It’s worth mentioning that Boston and San Francisco are cheaper when flying from Manchester. Boston is £1459 and San Francisco costs £2359. Delhi £1588 (3rd – 31st January 2018 and 13th April – 30th June 2018). Economy deals are also available, starting at £399 for New York and Boston from London. Some destinations are a lot cheaper from Manchester and may justify a train trip. San Francisco for example costs £529 from London and £429 from Manchester. You need to book by 20th September at the latest but there is limited availability and it is worth jumping in now if you want to secure key Christmas or Easter dates. Jurys Rewards - is the Jurys Inn reward scheme any good? Very interesting. I got a quote for Virgin UC, LHR-MIA this week. When I booked it yesterday, the price had dropped by around £800 pp. We are travelling out in mid November, but the return is during the offer period. Agent booked us on Delta codeshare, which may make a difference. Isn’t London – NYC always around 400 on virgin if booked early? Not such a good deal as last year. I managed to get SEA in economy for 14.5 K points each way, this deal where as 25K under this deal. OT, and this was the basis of a discussion previously, but I tried to refer my OH for a BA Amex PP card (she has the free card at the moment, I have the BAPP), and whilst I understood that she wouldn’t get the 25k avios I thought that I would get the 9k referral. I contacted Amex last night to check this, as did she, separately, and we were both told that no referral would exist as she is an existing customer. This seems odd as you’d think that Amex would want people actively moving from the free card to the paid card, so any incentive would be beneficial! It notes that “Offer is not available to your friend or family member if they hold or have held a British Airways American Express Card within the past six months” but doesn’t mention what happens to you in such a scenario. I’d push Amex a bit more on this. Thanks Genghis – I agree, I get that she wouldn’t get the 25k avios but it’s not explicit that I wouldn’t get the referral bonus. I’ve tried 3 agents now and had the same response each time, the answer is no, there’s no bonus for a referral. O/T: My Finnair flight got cancelled for technical reasons, and I only got informed on the day itself. Finnair rerouted me onto a direct flight SIN – LHR on BA that left exactly 1 hour earlier. My original route was SIN-HEL-LHR. My arrival time was earlier than the original. Am I entitled to any EU261? I know this seems a bit entitled, but I am a bit annoyed that I get the (in my opinion) inferior BA hard product. I would say you’re entitled to a 50% of the compensation (600*0.5=300€). You had a confirmed reservation on a flight that got cancelled due to technical reasons – the airline rerouted you on a different flight, but you got to your destination with a delay of less than 3-4-6 hours (don’t remember the hours for your flight distance). In fact you arrived earlier, but I think in this case it doesn’t matter. Anyway, good luck dealing with Finnair (I’ve they’re even worse than Ib dealing with EC261 compensation). I could be wrong but i don’t think you can get the compensation. The EC261 is for delays. you were not delayed. -i’m assuming you actually arrived at your destination 3h early? Exactly 1 hour before?? Out of luck! Lol. It’s the ‘compensation’ culture we now live in I guess. I would possibly be aggrieved in that the Tier points on the Finnair flights would have been 140+80. The Finnair flight usually would be cheaper. On the BA direct flight you would get 160 TPs. In those circumstances I would be put out. But am I right in saying that Finnair would credit you with the 140+80 TPs in any event? Thought so. Then no I wouldn’t be aggrieved because much as the OP was unhappy about flying in a CW seat rather than on a nice shiny new(ish) a350 (which I can understand to a degree) I do think the direct routing in itself is an “enhancement” in the true non-BA meaning of the word. Apply to BAEC for ‘original routing credit’ – trickier when dealing with partner booking vs BA metal though. Surely the point of this site is to inform, discuss and then source ways to maximize the opportunities that occasionally become available? The OP isn’t asking for the aircraft to be thrown in as part of the comp? Have Virgin stopped their redemption sales? They used to pop up every quarter or so, but haven’t seen one in ages? Looks to me like the travel dates above are for UC only. PE and E travel dates are limited to Jan/Feb. O/T: Just wondering. My company reimburses me for my Amex Platinum to cover travel insurance, lounge access for European flights (so dont have to buy a business class seat) and other benefits. I also have a BA Amex Platinum. I need to buy an expensive BA flight to the US for work (c£3k in business) and want to make sure I get the Amex Platinum insurance benefits but also get the BA triple points for using my BA Amex. Can I part pay a tiny bit on my platinum amex and then pay the rest on my BA amex? Are you able to hold flights like you can part pay for the BA holidays? You can pay the whole amount on the BA Amex. The insurance only requires that the purchase is made on an Amex-issued card (if the merchant accepts it). You can pay the whole trip with BAPP, if you have Amex Paltinum insurance it covers all your purchases on all your Amex issued cards like BAPP. Would the Virgin Black Amex count as Amex-issued, or MBNA? MBNA. I.e. not an Amex-issued Amex. I’m pretty sure when I was looking at the Virgin Atlantic website earlier in the week they were selling Boston for £339 return in economy. So this “sale” has increased the price. Should have said “Shell and a couple of others are excluded”. Too much Jinro for a Friday afternoon! OT but would it be a good idea if there was some clarity on when posts are promoting products, or when the links are paying commission to HfP? Then you could claim a share of the loot off your subscription? It shouldn’t worry you, since the reputation of this site is worth substantially more than the money we make off any particular article. I doubt we would last 5 minutes if we started promoting stuff that was absolute rubbish simply to earn a few quid. Money lasts a long less than reputation and far harder to earn. Cherish what you have, many “business” people will have sold their granny a dozen times over to walk a mile in your shoes..
That last rum a coke was a doozie..
Just a thought as some posts are clearly ‘paid promotions’, and others ignore that there are better savings to be had by NOT using a HfP link. Don’t confuse popular with reputation. No they’re not, and I am required to mark any such articles if they are (which they’re not – bar three articles for BA we did last year which were clearly marked as sponsored). Virgin is advertising with us this week so it is only fair to give the sale an editorial mention too, but we have written about every other Virgin sale for the last umpteen years too when they were not advertising. Quite surprised VA have now sale prices for Oct/Nov on PE flights from Lon to Delhi, prices are £1100 at present, highest i ever paid is £845, usually between £550 – 650. Will BA have a sale soon ? Slight OT. Posted earlier in the week where I saved £600 by booking my VA Economy seat to SEA and back for 3 days with Amex Travel rather than Virgin direct. I knew I had no chance of an upgrade on the way out but my return ticket it was upgradable. I rang the FC and asked to upgrade on the return trip. I was only offered UC upgrade for 58k points (from my Economy ticket). Zero taxes to pay too, so I took the UC upgrade and travelled home in style and used the Revivals lounge too. Thanks again Rob.